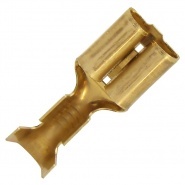 Pack of 5, 6.3mm male blade terminal housing. To suit 6.3mm male blade terminals. 0-011-21 Male blade terminals, 0.65mm² to 1.00mm² cable. 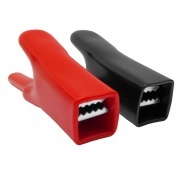 0-011-22 Male blade terminals, 1.00mm² to 2.50mm² cable. 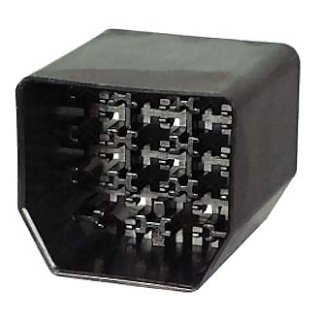 The eleven way nylon male blade (often referred to as spade) terminal housing is rated by available standard automotive cable sizes, they will take by accommodation a cable terminal entry size of up to 2.50mm² standard cable strand configuration, to a maximum of 21.75A per single terminal when including a thin wall (higher amperage) cable construct. 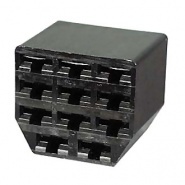 When a multiple blade connector (multiple cables) version is used, recommendations are not to exceed 17.5A per terminal, which is ample for most vehicle internal lighting and auxiliary component applications. 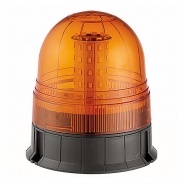 A general rating of 20A continuous use has been applied to the store blade terminal range, for guidance and in conjunction with the above information. 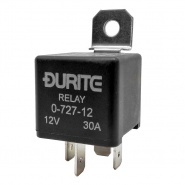 Durite 6.3mm larger male automotive blade or spade terminal for housings, for 1.00-2.5mm² cable. 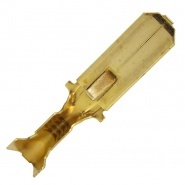 Durite 6.3mm larger female automotive push-on blade or spade terminal for housings, for 1.00-2.50mm² cable.